Jerusalem, July 24 (IANS) Israeli Prime Minister Benjamin Netanyahu said on Monday that an Israeli security guard who shot dead two Jordanians after being stabbed outside Israel’s Embassy in Jordan will be brought back to the country. 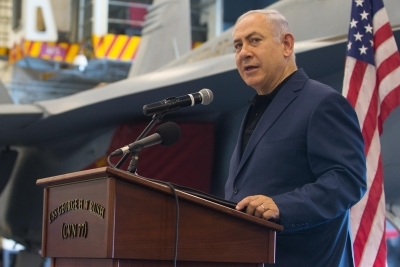 In a statement released by the Prime Minister’s Office, Netanyahu said he called the guard over the phone and promised him that Israel “has experience in dealing with such situation” and would “bring you home”, Xinhua news agency reported. The guard fired two shots after being stabbed from behind with a screwdriver on Sunday night, killing the assailant and fatally wounding another man present. Local media reported that Jordanian authorities refused to allow the guard to leave the country before he was investigated. A senior military official was en route to Amman to help solve the diplomatic crisis, media reports said. The incident has further complicated efforts to resolve a spiralling crisis over Al-Aqsa Mosque compound, East Jerusalem’s most sensitive holy site.